Our highways are littered with attorney billboards. Daytime television channels are filled with lawyer commercials. Attorney advertisements are everywhere. More correctly — Advertising attorneys are everywhere except the courtroom. You rarely see these billboard and television lawyers helping real clients in real courts. Most billboard and television lawyers advertise simply for a volume of cases they can easily settle. Our profession should be better. Now, Huntsville even has one local law firm advertising for cases it actually intends to refer rather than handle. That is, the firm wants the cases just to refer them. People with legal problems deserve better than the current (and misleading) world of attorney advertising. Consider the Huntsville firm now advertising constantly on billboards and radio. Overnight, that firm (a DUI firm) plastered new billboards along highways in Huntsville, Decatur and Athens. Suddenly, that firm started advertising for all types of cases. The website for this new billboard law firm even had a page for wrongful death cases. Nothing is more difficult for a family than the death of a loved one. During a time of grief and loss, a family does not need the added problems caused by inexperienced legal counsel. Are these newly advertising billboard lawyers inexperienced counsel? You decide — That firm’s wrongful death website page discussed damages that are NOT even recoverable in an Alabama wrongful death action. That is, their advertisement to you did not even discuss the correct law. The issue of what compensation and damages are available, is key to any claim. In Alabama, wrongful death claims are unique. Lawyers who regularly handle these claims understand these issues. 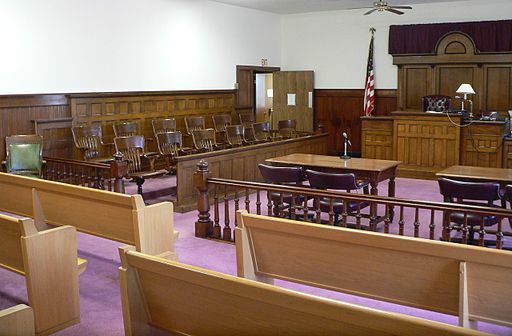 The unique issues in Alabama’s wrongful death laws impact every part of the claim. Truth in advertising is an issue important issue. So, I wrote a prior blog post discussing the misleading wrongful death page of this new Huntsville billboard law firm. That post was titled: Need A Lawyer? Don’t Believe Everything You Read On A Website! Because of postings, that DUI billboard firm changed its misleading webpage on wrongful death claims. That’s a positive development. If you are still uneasy about a firm that would so blatantly get basic law wrong, you should be. By changing it’s ad, has that firm suddenly gained experience in the field? This is why I’m uneasy with lawyer advertisements. If you need legal help with a wrongful death claim, what should you do? Do your research. Make sure you ask the prospective attorney if he/she has actually litigated and tried wrongful death cases in Alabama. The same Huntsville billboard law firm also wants your personal injury claim. Car wreck. Slip and fall. Trucking accident. Sign up with them. “We have the lawyer for you” their radio advertisement states. Do they? Yet, another problem — That Huntsville billboard law firm actually has a “Disclaimer” on its personal injury page. That firm’s “Disclaimer” reveals much of the truth. That firm actually refers personal injury cases to an outside lawyer. Why are they advertising for cases simply to refer them? Why advertise for cases beyond your specialty? Why? That billboard firm of DUI lawyers wants to collect a fee on other cases as well. Maybe the billboard firm intends to split the fee with outside counsel. They may argue it won’t cost you extra, but it can. In many ways, this artificial and misleading arrangement can harm the case and recovery. Wow! Awful! That firm actually advertises for your personal injury case. Yet, in the fine print at the bottom of their website page, they actually state “most cases of this type are referred to other attorneys for principle responsibility.” They want your case to send it to another attorney who will really do the work. In my opinion, that is absolutely wrong. I was curious. Do that firm’s attorneys now claim to also be personal injury specialists? I checked their bios. As of the date this post was published, none of them claimed that specialty. Yet, they are still advertising for your personal injury case. The last thing you need is a middle man to broker your case. Billboard, radio and television ads are the absolute worst ways to find a capable and skilled attorney. People with serious legal issues deserve better than cheap ads claiming specialties in every area of the law. People with serious legal issues deserve better than an attorney on the radio or television promising he or she can take care of all your problems. When attorneys do choose to advertise, they should be honest, open and transparent about their real areas of practice. Our neighbors deserve honesty and transparency from us.